1. Intro - What's it all about? 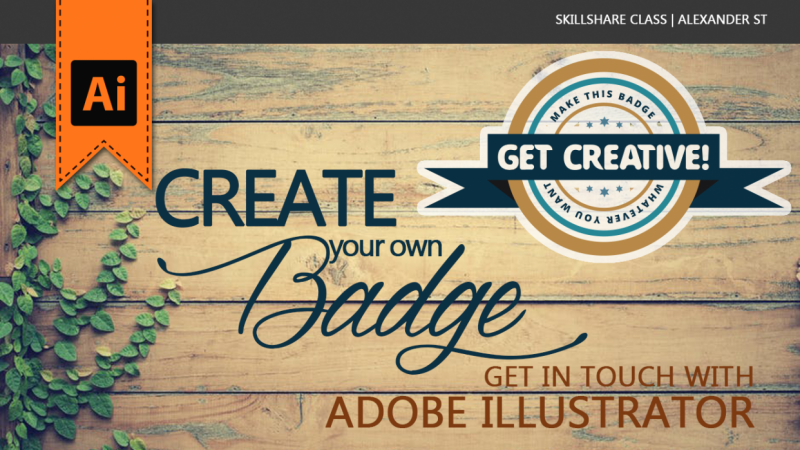 In this class, we will learn to create one of these stylish looking Badges you can find as logos, in shops, and on menus and websites every day. We'll build the Badge step by step, getting familiar with the basic but most important tools in Adobe Illustrator. That's your chance to learn how to handle this program! But we'll not only build a Badge. I will show you how to use Pinterest for getting inspiration, finding colour palettes and how to create your own swatches in Illustrator to change colours quickly and easily. This class is for Beginners but also for those who want to practise their skills in Illustrator or learn about Badges. Learn how to build one Badge and start from there to make any Badge you want to! If you are new to Illustrator, I recommend to rebuild the Badge in this class first. You can post any problems or questions you have about it. For your own class project make your own badge, based on what you've learned in this class.